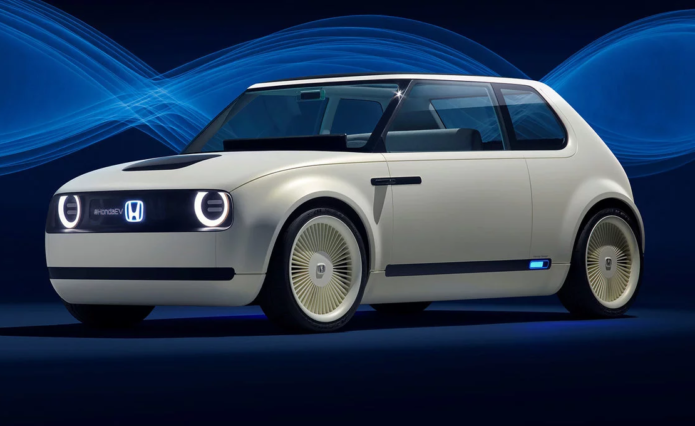 The retro-styled Honda Urban EV concept has been unveiled at the Frankfurt motor show this week, giving us a taste of what to expect from a production version confirmed for 2019. Based on an all-new platform, the Urban EV concept previews the design and battery technology for the upcoming production model, in a package smaller than the Jazz light hatch. The overall design looks to be inspired by the first-generation Civic, with its old-school three-door hatchback shape, large circular headlights, square tail-lights, big glasshouse, and multi-spoke alloy wheels. It appears Honda has taken a page out of the books of manufacturers like Fiat and Volkswagen by reviving a classic model with a modern twist – think 500 and Beetle.